Our philosophy is to ensure all our members and guests alike go away with a sense of achievement by learning something new, gaining a competitive edge and having a good time. Our job is ultimately to make sure you do this in a safe environment. Our team are all hand picked for their unique qualities and personalities, and as a team we work together to make Coniston Shooting Ground the best in the North. Peter joined the ground in 2003, with his life long appreciation of both game and clay shooting he brought with him a wealth of business experience. During his time in charge we have seen the change from the old club house to our new impressive log cabin with gun room, café and shop. We continue to increase stands and traps with plans for 2018 to cover more stands. Sarah Baker – Customer Liason. Sarah can usually be found in the office organising lessons and answering the phone. Always cheerful she keeps us all sane. Working along side Sarah, Jane is here to fill in where necessary and keep us all up to date on the web site. Nigel, is our in house shooting instructor over the years his lessons have helped many struggling game and clay shooters to improve their skills. 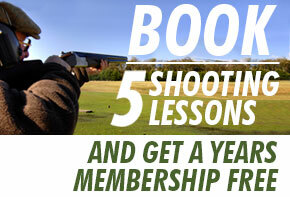 As a seasoned instructor and loader on all types of game shoots he is available for lessons Tuesday to Saturday. Carl has been instrumental in updating many of the electronic systems that keep everything running smoothly. Working with his team he continues to improve the ground for the benefit of our customers. Both Kevin and Patrick have recently joined the team and their input has been instrumental in maintaining and improving the targets and the ground layout. Patrick is a shooter and he and Kevin are involved in on going training most recently trap maintenance.